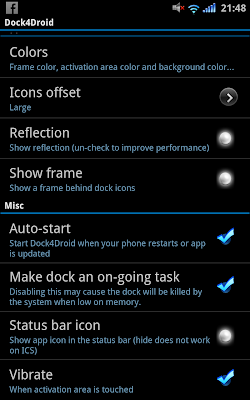 某魚的刷機心得總合(Android): Dock4Droid - 方便好用的快速捷徑 . 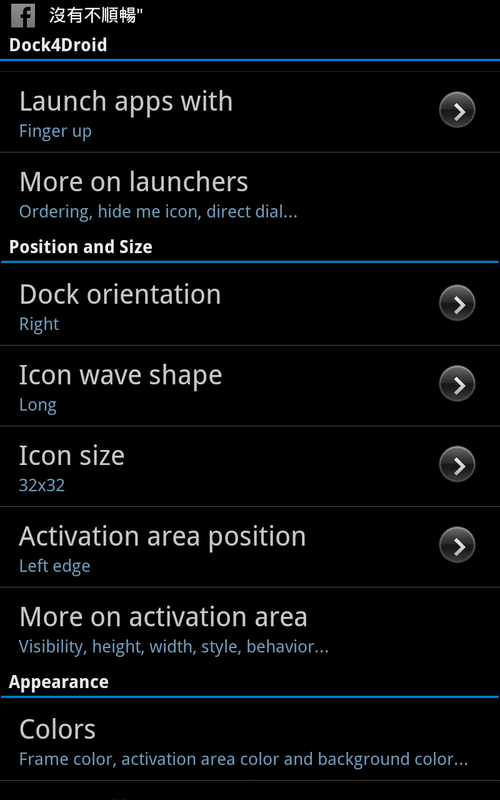 話說,由於 Wave Launcher 總是不能支援 Android 4.0 ,所以堅持了使用 GB 到現今..
由於 , Note 2 將近... 總不成 Note 2 會有 GB 系統 ..
找了很久之後, 終於找到了 Dock4Droid ,可以作為 WaveLauncher 的取替..
另外, 我很欣賞的 WaveLauncher 內置的 ,App Drawer 功能,亦找到替代品了..
使用方法非常簡單.. 點一下 Touch me ,再選想要執行的程式就好. 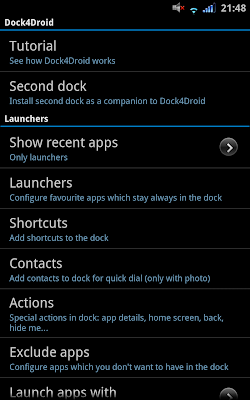 Launchers : 設定你想在 Dock 中顯不的程式 .. 未付費限定 4個. Shortcuts : 設定快捷鍵如 Direct Message (直接發訊息到閃光的Whatsapp ,舉例) ,依然未付費限定4個. Show Back Icon : 跳到上一次使用的程式. 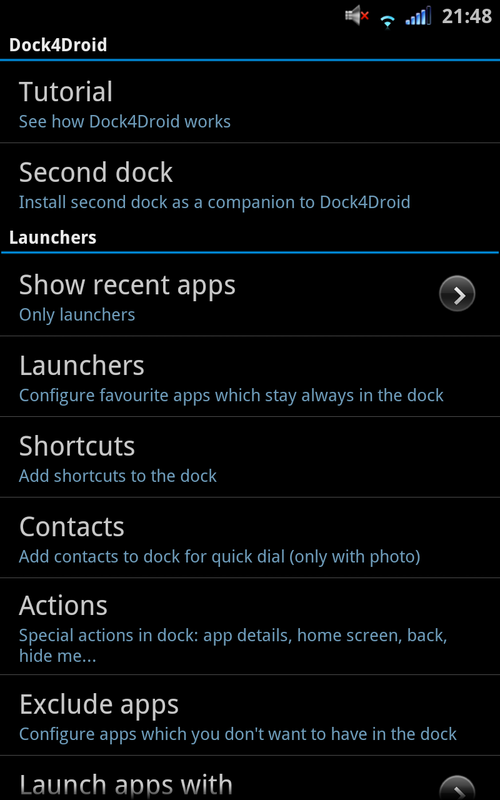 Recently executed launchers : 設定顯示排序方式. Direct Dial : Contacts 聯絡人 ,點選會立刻撥號..
Activation area position : 呼出選單的所在位置. Show activation area : 呼出選單列是否可見. 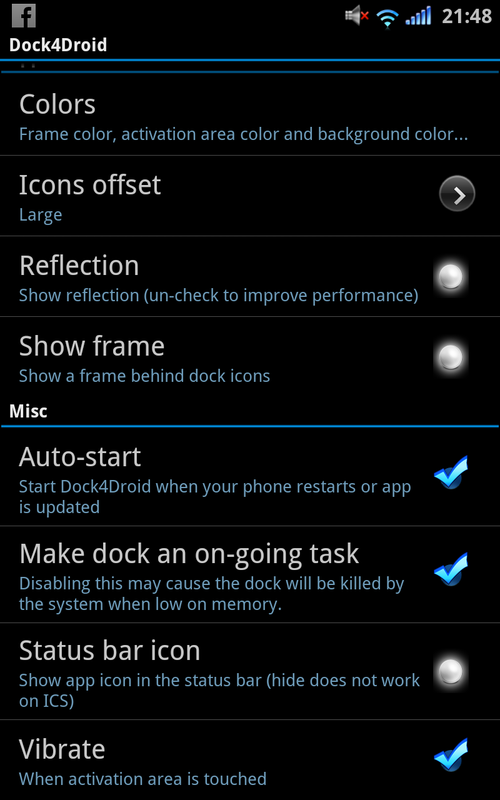 Activation area style : 如果上面的 Show activation area 你設定為可見,便可由這個選項改變 TouchMe 的樣式.